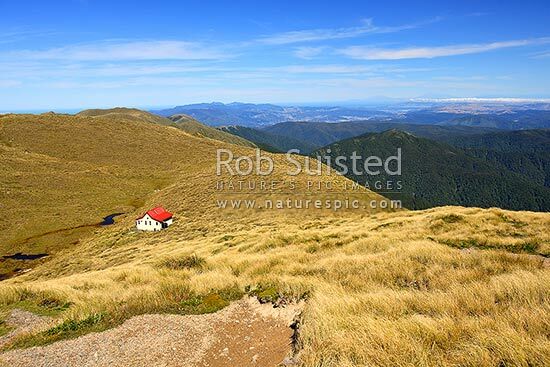 Kime hut nestled under Field Peak (1483masl) on the Southern Main Range of the Tararua Ranges. Hutt Valley and Wellington distant beyond. Southern Tararua Crossing route, Tararua Forest Park, Kapiti Coast District, Wellington Region, New Zealand (NZ), stock photo.